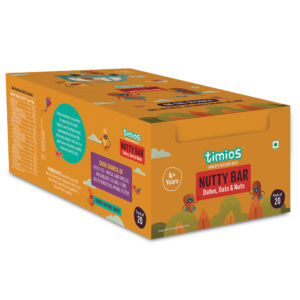 Raise the bar for your kid’s snacks with Timios all-natural energy bars. 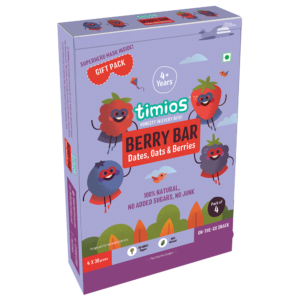 These hearty treats are guaranteed to energize your kids and keep them full until their next meal. 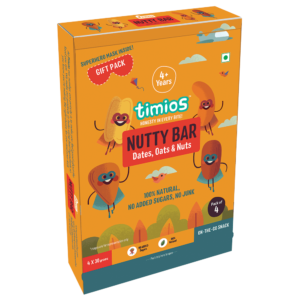 With no added sugars, colours, preservatives and artificial ingredients, Timios all-natural energy bars are a great source of protein, antioxidants, soluble fibre, omega-3 and omega-6 fats. 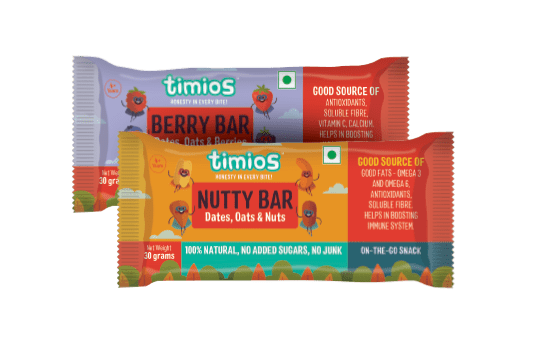 These on-the-go treats are the perfect snack bars for your kids Any Time-Any Where! They fit well in their snack boxes too.